The new US ambassador to the Netherlands has denied saying that there are no go areas in the Netherlands and that cars and politicians are being set on fire because of radical Islam. In an interview with current affairs programme Nieuwsuur, Pete Hoekstra told NOS correspondent Wouter Zwart he had never said such things. ‘I didn’t say that. That is actually an incorrect statement. We would call it fake news,’ Hoekstra said. However, the new ambassador can be seen clearly making the statements in a video recording from 2015. ‘And yes, there are no go areas in the Netherlands,’ Hoekstra states. Hoekstra will take up his position in January. He is known to be a supporter of Trump’s policy on the migration of Muslims to the United States and Europe. Hoekstra is also said to oppose gay marriage and abortion, both of which are legal in the Netherlands. The ambassador was born in Groningen but his family emigrated to the US when he was three. 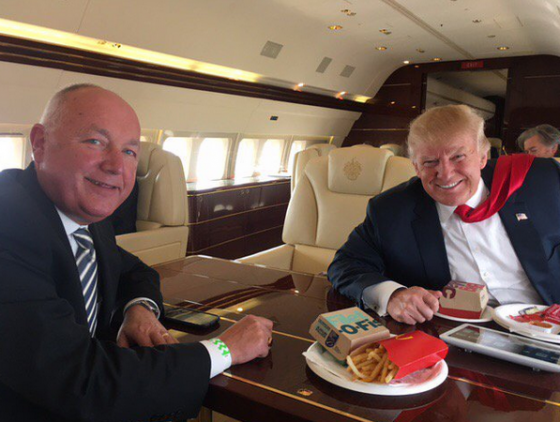 Hoekstra will be the first US ambassador to the Netherlands since early 2016, when Timothy Broas resigned. Since 2005, no US ambassador to the Netherlands has completed a four-year term in office.